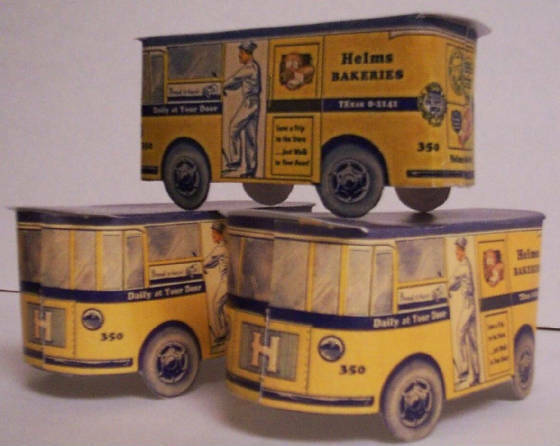 It has been over forty years since the Helmsman last handed out souvenir cardboard Helms Bakery trucks to lucky Southern California boys and girls. We have reproduced a limited number of them in color on sixty-seven pound card stock. They are two for ten dollars, postage paid. 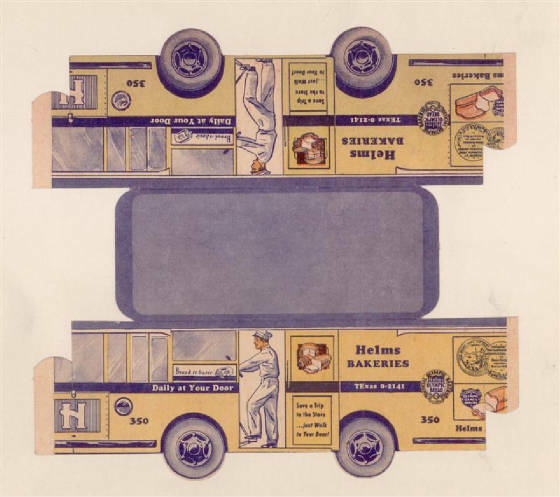 These Divco type Helms Coaches will need to be cut out and assembled. After assembly, they measure approximately four and one half inches long by two inches high and two inches wide. Cash, check, or PayPal accepted. Please e-mail for more information. Who says you can't have your childhood back?! ?